When in the year 2010, the concept of e-rickshaw was launched by the Municipal Corporation of Delhi, as a means of easy transport for common people and reducing pollution, little did anyone take into consideration the harmful impact of this special vehicle on the people and on the roads. “ There were 36 accidents this year along with 2 deaths”. “The recent news of the unfortunate death of a toddler after his mother was struck by an e-rickshaw has once again brought this battery operated vehicle in severe scanning”. The outcome: The high court has imposed a ban on the plying of e-rickshaws as of now. The debate now continues: Should e- rickshaws be banned? 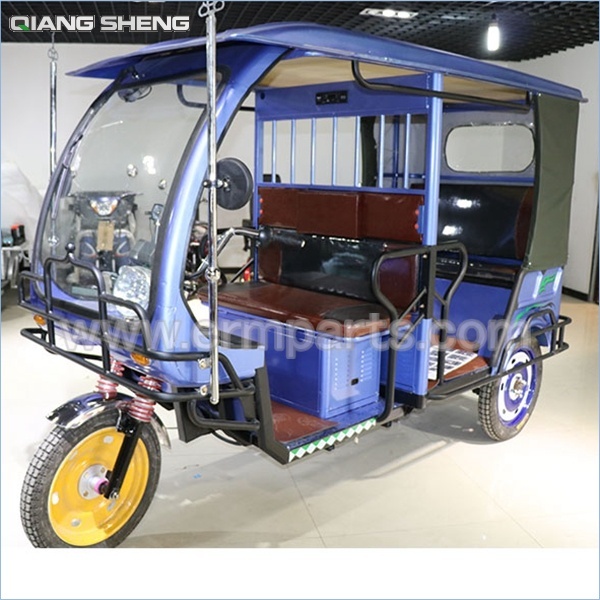 E-rickshaws have been in use since 2008 as a replacement for auto rickshaws in Asian countries like China, Bangladesh, Japan, and Nepal, and in low numbers in European countries like Switzerland, France, Germany. In India, the concept has started just 4 years back and Delhi is the first state to launch this. It is yet to be launched officially in other states, though you see a few of them here and there in other states as well. Eco-friendly: These are battery-operated vehicles and hence can be an excellent alternative to petrol/diesel/CNG-driven vehicles, which cause severe pollution. The e-rickshaws do not emit smoke and hence they are non-polluting. They don’t petrol and diesel. Economical: Compared to other types of vehicles, e-rickshaws are quite cheap and can easily be afforded by a common man. Not only for the owner, it is also cheap for the passengers as they have to pay less transport charges, compared to the charge they pay for auto-rickshaws or hand-pulled rickshaws. Easy to drive: These e-rickshaws are easy to drive compared to the tedious task of pulling rickshaws. No noise pollution: These rickshaws do not make much sound and hence do not add up to the noise pollution. You can enjoy a comfortable ride. Livelihood: Last but not the least, e-rickshaw is a boon to the common man. Without putting in much physical efforts and without investing much amount of money, the earning is quite good for an e-rickshaw driver and hence it is an important means of livelihood for many. These are the general benefits of e-rickshaws. Delhi has severe traffic problem, pollution problem and fuel dependence. Under these circumstances, e-rickshaws are very helpful. They can tackle with Delhi’s ever rising air pollution. This is one of the best means of promoting non-pollution. E-rickshaws are a good options for bicycle-rickshaw drivers to get rid of their tedious, backbreaking work. As far as livelihood and business is concerned, it is reported that e-rickshaws have given the means of livelihood to over 1 lakh people in Delhi. Also, initially these were imported from China. Today, the entire e-rickshaw, along with the body, handle and batteries are manufactured in India, leading to the growth of an entire small-scale industry in the eastern and western parts of Delhi. First of all, e-rickshaws are usually very slow in speed- around 30-35 kmph. It cannot match up the speed of auto rickshaws. Hence, it is not a preferred mode of transportation in times of urgency. These e-rickshaws are comparatively lighter in weight and hence cannot cope with larger weight. There is always a chance of the rickshaw being toppled over if it exceeds the permissible weight. And in India, the drivers are seen riding overloaded e-rickshaws. No proper regulations and guidelines have been fixed. As a result, the drivers are not fully trained to drive these e-rickshaws. Most of them do not even have a driving licence. This is a matter of serious concern. All these have made e-rickshaws in Delhi very accident-prone and with the recent death news, it has been completely banned till further legislations and guidelines are framed. Delhi transport minister Nitin Gadkari stated that all e-rickshaws should be regularised through a nominal registration fee of Rs. 100 at MCD. Identity cards and licences will be issued to the drivers. The MCD along with Delhi traffic police will work out a challan system for negligent driving. An insurance corpus of Rs 10 lakh has to be made by e-rickshaw associations. This has to cover compensation for any grievous hurt (Rs 25,000) or fatal incident (Rs 1 lakh) caused by an e-rickshaw. These battery-operated vehicles should come under the arms of the Motor Vehicles Act. The maximum speed of an e-rickshaw should not be more than 25 km per hour with a maximum capacity of four passengers. The proposal also stated that identity marks and stickers will be issued for e-rickshaws.